← Edith Wharton loved Italian Gardens! 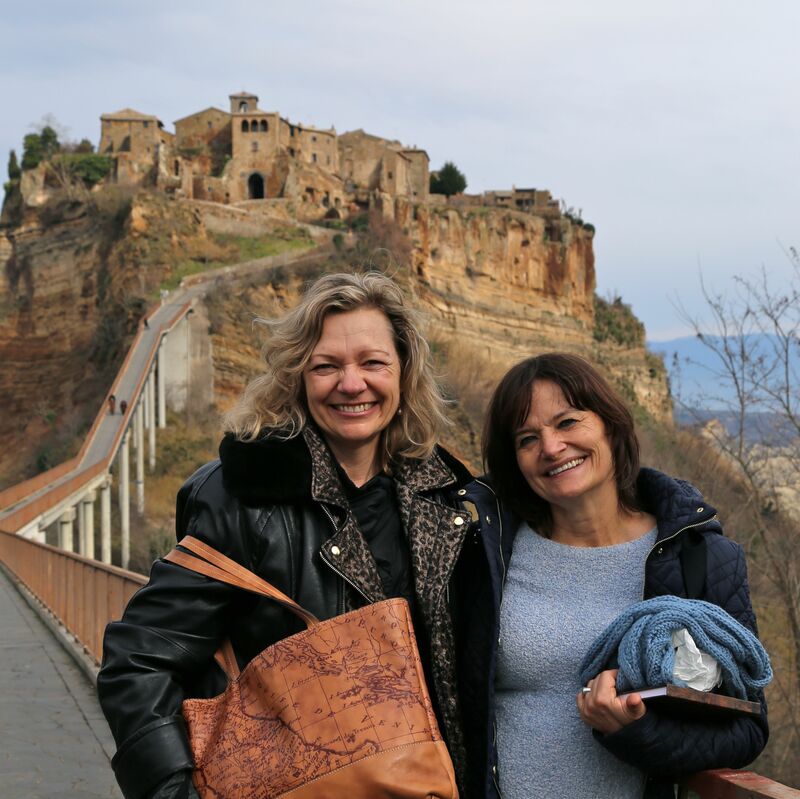 Barbara and Linda visit Civitas di Bagnoregio during the February 2015 retreat. How much do I love Italy? Let me count the ways: the fresh and healthy food, the ever-changing sky, the medieval hill towns, the natural earth tones of the stone walls and roofs, the patina of age on the statues, the Renaissance gardens preserved for hundreds of years, the hospitable people, the surprising vistas as you round a corner on a country road, the legacy of Roman roads and Etruscan tombs, the designer touch on even simple items . . . .
We will be sharing our adventures in Italy over the next few months, with many photos and inspiration. Hope you are having a beautiful spring!